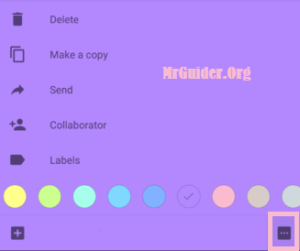 Google Keep App Update Brings 4 New Note Colors. With The New Update, Now There Is Total Of 12 Colors Available On Desktop Version As Well As App Version. The New 4 Colors Includes Dark Blue, Purple, Pink, And Brown. These New Colors Now Available On Desktop Version Of Keep And Rolling Out To Google Keep App. When You Change Color Of A Note On Desktop Version, It Will Show Colorless On Mobile App If You Have Old Version Installed. Many Users Use Color Notes In Keep, Now They Have 4 More Choices To Choose. Google Keep Latest Version (3.4.901.05) Is Now Rolling Out To Google Play Store Slowly. To Use This New Update In Your Mobile App Now, You Can Grab Latest Version Of Google Keep APK From Here(APK Mirror). Or Wait Till It Arrives On Play Store.